Our product range includes a wide range of valve positioners. Years of understanding and in-depth knowledge of this domain, we present patrons with the superior quality of Valve Positioners. Used in process control industry, the valve positioner is sourced from reliable source for ensuring optimum standards of quality. Simple operation, high functionality and robust construction, make the valve positioners highly demanded. 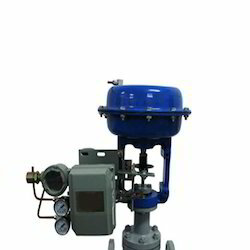 Looking for Valve Positioners ?